The quickest it did Friday was a 16.2 or something. That was the only run I got where the boost didn't try to overboost to 30psi or make no boost. Eventually ill make it to the track with functioning boost since last time it was having issues making boost too. 1990 745 turbo wagon with 13c and A cam and Getrag 265 trans and johnV billet steel flywheel. Got 8 runs in after IPD but they kicked me out when they noticed my water dripping. Water pump gasket I think or weep hole. Maybe I don't have a blown headgasket. Fun seeing eveyone and even Greg came an ran his NA 242! I this point I might put bigger turbo on this car and try and go faster and faster and faster, why not? Get all the other passes in here from ipd! West needs a win! 13.4 @ 104 was my best for the night, slips are in the car. Still more when I get full e85 in the car but I dropped 0.3 from my 60' and picked up 1mph from last time. Another quick update. Went to the races after IPD, along with Simon, the Twins, and Gary. Fastest run was a 13.8@100.4. Was fighting boost control issues all night where I lost boost after torque peak (down to gate pressure) and would only see it recover to target pressure by redline, effectively killing off 1500 RPM of power band. Still, got into triple digits, which is nice considering it was done with less boost than last year. Nice 60"! This is with Michelin PS4s, or? That's with 595s. Box was real sticky. Box was sticky is a goddamned understatement! I couldn't light em up at all in the staging area, on aired up street tires. I've NEVER had something that sticky here in Sac. What was your 60ft? or post whole time slip? Any changes now vs your last run? What is or was personal best? Being that my wagon is going to be a fairly close copy of yours. I've also gotta get the blue 242 down the track a couple times, but I'm waiting on it's owner for that..
Gotta find the slips. 60' was down to around 2.1, last time at the track was 2.4 but cam timing made a big change there. Last time at the track here in town was 13.2 @ 102 but 2.4 60', also on straight E85, and on slicks, spinning a little even on the track. Up in PDX, on streets, 50/50 crappy 91 and E85, 60' dropped .3, MPH went up by 2, ET went up by .2. I'm guessing next run here in town, on straight E85 it may crack that 12 mark at around 105-106, in full street trim. What is the elevation difference between both tracks? That might also account for some changes. And with slicks you need to be pulling 1.8s everypass at the very least, No excuses. I feel like I'm behind on some points totalling. I'll get that done soon. But it's about me for a minute because I wanted to post my report from last night at Bandimere Speedway. Thunder, lightning, wind, hail rolled in about 6:30, so only got 2 passes done. And it was hot, high altitude, and dry. So excuses made. See image of the track weather report. I just added times for t8fanning also. Man that car has some serious mph! First time I had seen that one. Good work bud. Now just get that thing to 60' and you'll be cookin! redacted times, they were from 2017. Cool car though. Make some passes for 2018, let's see it. Last edited by qwkswede; 06-07-2018 at 01:14 PM..
Yeah, it's out in the car, sitting in the driveway, while I'm at work. Hit me up tonight as a reminder, I'll get a pic of it. I've got one to submit for Scott as well, had a run against him in the 5.3'd 245. Please check the current board and let me know if I missed anybody. Just added sbabbs best. @Marvelous3 - do you have a timeslip for that 16.2? OR some more details at least? 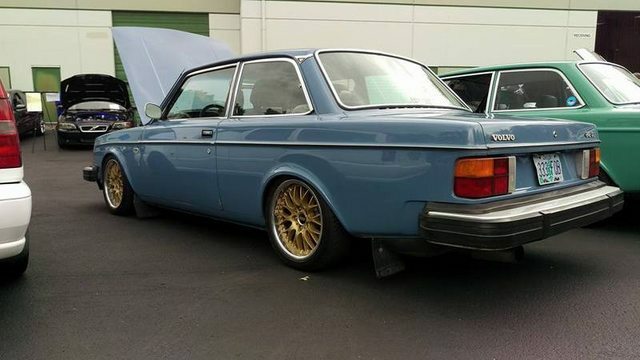 It is good to see some enthusiasm for drag racing the Volvos this year. We are off to a good start. 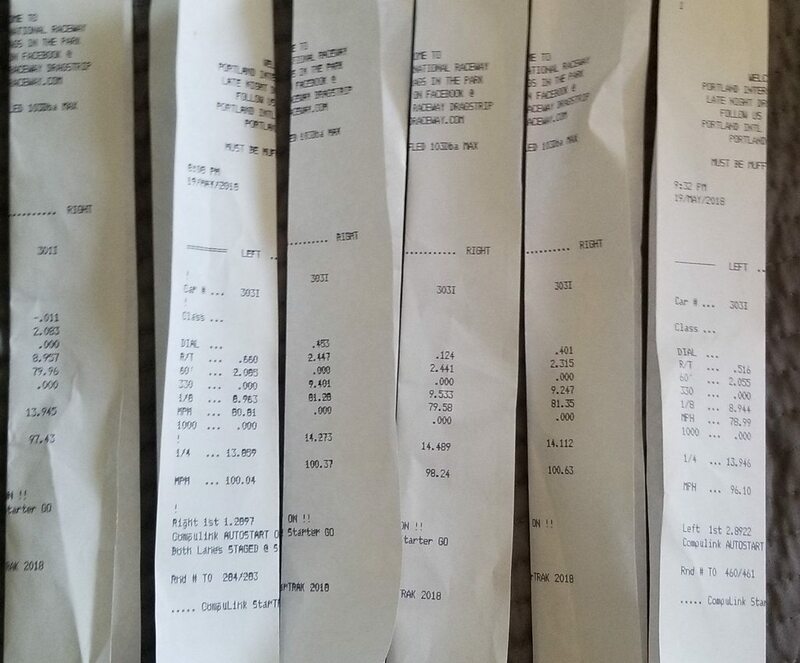 Well it's starting to look like my wife threw away all my timeslips while she was cleaning the house, but I ran a 15.1@95 in my apparently modified 2004 V70R with a 2.4 something 60'. Got you down. Image is visible to me too. Is that what a "modified" V70R makes to the tires?